Wrapped into a soft whole-wheat pita, this nutty, ginger-infused chicken oriental makes a satisfying meal with lots of fun flavor and crunch. 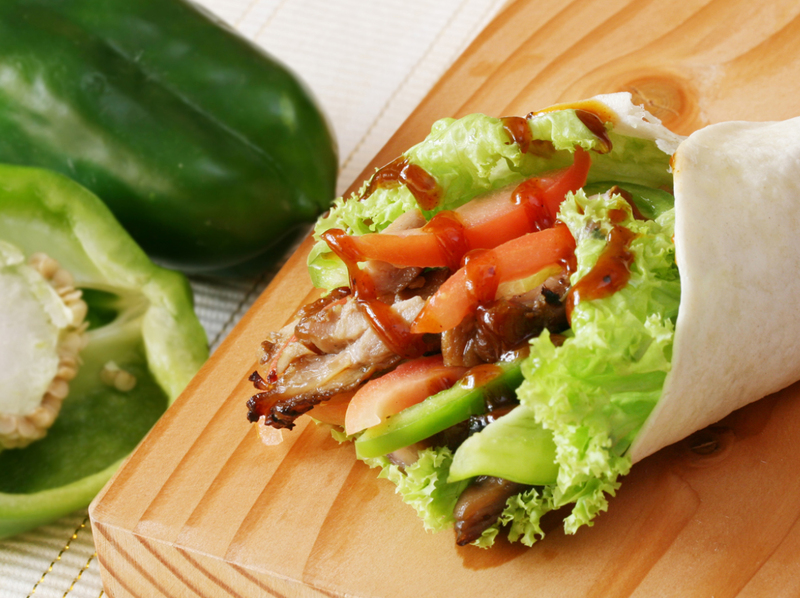 You’ll definitely love the Asian flavors of peanut and teriyaki sauce combined with the hearty lettuce leaves and chicken meat. This not only manages to be delicious but indeed, healthy too. This is a great alternative to get few carbs while not feeling guilty about your diet. Combine chicken, pineapple, celery and green pepper in a large bowl. In a separate bowl, mix Lily’s peanut butter, teriyaki sauce, lemon juice, ground ginger, chopped onion and dry mustard. Line each pita pocket/tortilla with lettuce leaves and alfalfa sprouts. Top with chicken mixture Drizzle with Lily’s peanut dressing and Japanese mayonnaise. Fold and Serve.